Yes, I've Published a Book! I've written and published a book! Of course, that was my intention when I began this blog way back in 2006 when I was still in the classroom, but the book I've published isn't exactly the book I had planned. The planned project - a teaching memoir - will still be published along with a few other projects, but the book you see to the left is what fell in my lap along the way. History education is my prime focus along with writing curriculum. Over the last couple of years I've written a few college courses used by teacher candidates at Johns Hopkins University School of Education, and I have some other curriculum ideas up my sleeve, but local history has taken a front-burner position over the last year. I've been researching and writing the local history of Douglas County for the past four years, and have had a weekly column the Douglas County Sentinel for a year and a half. I've been a longtime fan of the Images of America series of books from Arcadia Publishing. Several towns across the nation are included including several in Georgia, but my town of Douglasville was missing. When Arcadia contacted me last year, there was no other alternative than to sign the contract and get busy. The book was released on July 14th, and I'm very proud of it. 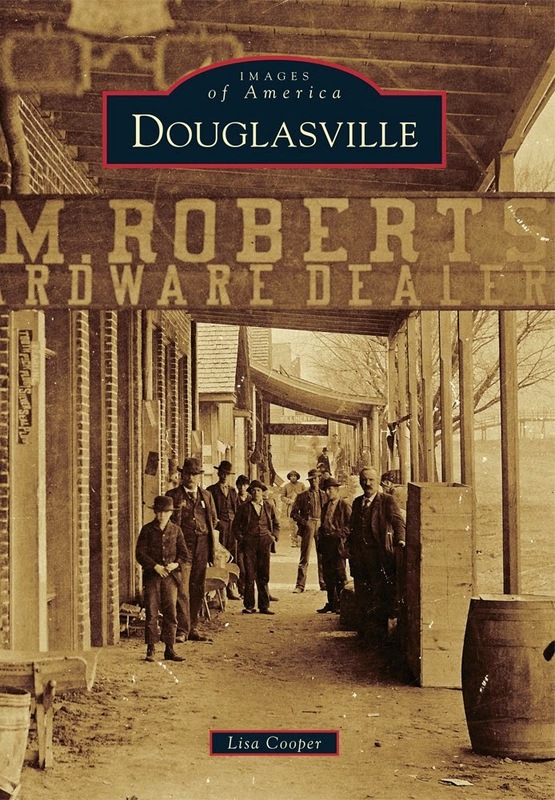 The book contains 200 vintage images depicting the history of Douglasville, Georgia some dating back to the 1870s and covering the next one hundred years. You can Google a preview of the book HERE, and you can purchase it via Amazon HERE .